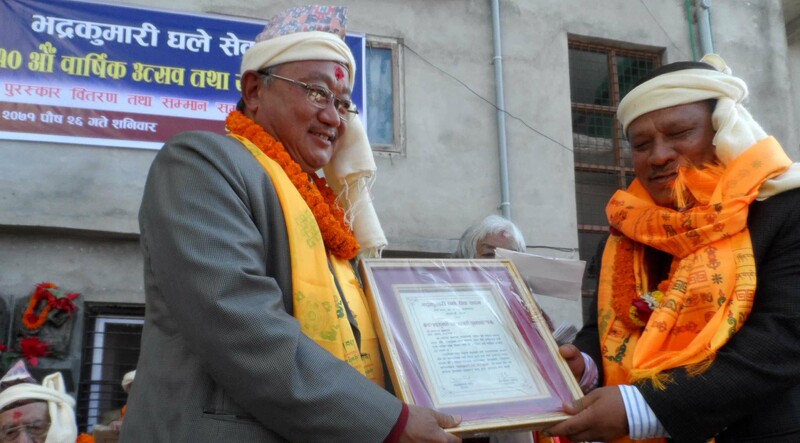 Bhadra Kumari Ghale Sewa Sadan has awarded Ghaman Singh Ghale Prize to Nawa Raj Subba for his contribution to Nepali literature. Chief Guest Honorable Deputy Prime Minister Prakash man Singh awarded cash prize 10,000 with certificate to Subba in a ceremony. Altogether 57 including National Poet Madav Ghimire, Culture expert Satya Mohan Joshi, writer Madan mani Dixit, Usha Thakur were awarded on the occasion of tenth general assembly of the organization in Kathmandu on January 11, 2015.